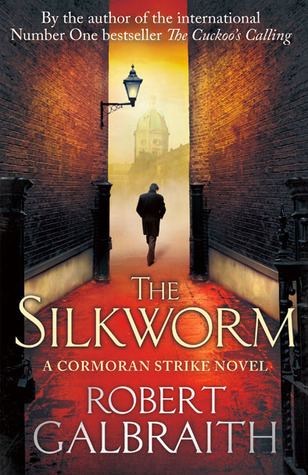 When novelist Owen Quine goes missing, his wife calls in private detective Cormoran Strike. At first, she just thinks he has gone off by himself for a few days – as he has done before – and she wants Strike to find him and bring him home. But as Strike investigates, it becomes clear that there is more to Quine’s disappearance than his wife realises. The novelist has just completed a manuscript featuring poisonous pen-portraits of almost everyone he knows. If the novel were published it would ruin lives – so there are a lot of people who might want to silence him. I was very pleased to see another case arrive for Cormoran Strike, the one-legged chain-smoking out of shape detective in his mid 30s, to solve. Although it took me a while to get into the story, once I was there, I was keen to see how it all panned out. I think it was probably down to the disjointed nature of my available reading time when I started. I’m not going to fill this review with a rundown of the plot, that’s what the blurb is for. The bare basics are that there’s been a gruesome murder and Cormoran is on the case. One of the things I like about these books is that they are very dialogue driven. I find that engaging, like I’m along for the ride as an observer lingering off to the side. The style just hooks me, and I think that Cormoran’s questioning technique is great. Just like a real investigator, he collects seemingly unrelated little snippets from each encounter and stores them in his box of clues. Then we reach the point where he has an epiphany that links them all together. I love how RG (JK) doesn’t just end the story there, he (she) then goes on to find ways to prove everything before revealing it to the reader and the cast. It reminds me of Mrs Marple mysteries. Robin is a great character as well (probably my favourite). She’s eager to hone her investigative skills, but has a constant battle with her fiancé, who doesn’t like her job, and Cormoran who she doubts really takes her seriously. She’s a bright lady, and it takes a few incidents before Cormoran finally realises what a gem she is. I really enjoy reading the discussions between Cormoran and Robin, where she is an integral part to solving clues and bringing clarity to the situation. I really enjoyed this new Cormoran Strike case. The plot had me guessing along the way and changing my mind a heap of times. At first I thought it was (.) then (.) but when I found out it was (.) … I was surprised. Recommended for fans of crime solving, JK and RG. Note: I don’t claim to be a pro-reviewer, I am a reader. My reviews are based on my personal thoughts around the story that the book is trying to tell. I try to focus on the story (which is the reason I read) rather than dissect the book and pass comment on typos, writing style or structure.